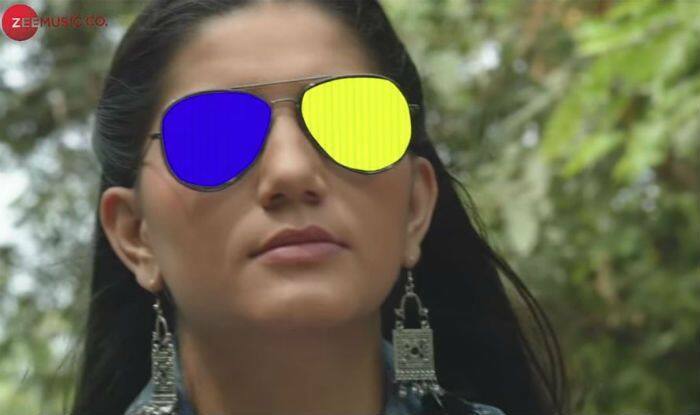 Watch the first teaser of Sapna Choudhary's debut 'Dosti Ke Side Effects'. Haryanvi dancer Sapna Choudhary is all geared up to make her Bollywood debut with Dosti Ke Side Effects. The film’s first teaser is out and it just adds to the excitement. Earlier today, on December 4, Sapna took to Instagram to share the link of the teaser and poster of her upcoming film. The poster features Sapna Choudhary along with actors Vikrant Anand, Zuber K Khan and Anju Jadhav. Directed by Hadi Ali Abrar, the film’s trailer is set to release on December 14, 2018. Sharing the news, Sapna wrote, “Very very excited and overwhelmed to announce my Bollywood debut with the movie #DostiKeSideEffects. Check out the official teaser now: Link in Bio Would like to thank everyone who have helped me reached here in my life – my family, friends, fans, haters, crew members, co-stars, my Director – Hadi Ali Abrar, Producer – Joyal Daniel, my Manager – Pawan Chawla. Mein tahe dil se aap sabhi ka shukriyada karti hoon. #Teaser #NewMovie #Excited #ShareHappinessFilms #Grateful #Blessed #bollywood #debut #movie @anjujadhavofficial @zuberkkhan @vikrantananad @dostikesideeffectsofficial @pawanchawla2010”. Dosti Ke Side Effects is the true reflection of life where we have love, hatred, betrayal, promise, drama, happiness and friendship. It is a complete family movie based on a contemporary perspective. The lives of four friends intertwined to form the story of the movie and as the movie progresses, different facets of life come out to the audience.